Although the lake is very large, it is smaller than Clearwater Lake and the Seal Lakes. It is therefore referred to in Cree as the “Smaller-Large Lake” The lake extends 100 km east to west, and is the 3rd largest natural lake in Quebec (after Mistassini and Clearwater Lakes). It drains west (380 km), via the Great Whale River into Hudson Bay. The area proposed for protection is 3,514 km². 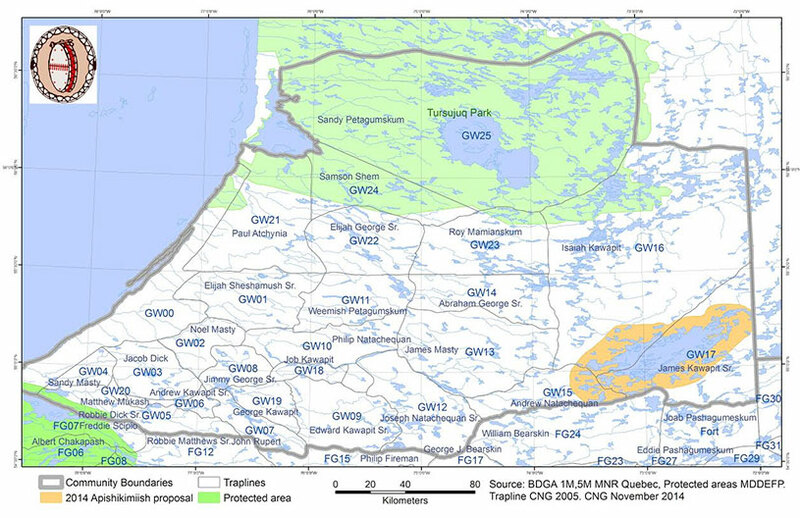 Roughly 2/3 of proposal area lies north of the 55th parallel, within the Kativik Region. Crees have been gathering there since time immemorial. They have also relied on it to get them in times of starvation. People knew they knew they could always get food there.